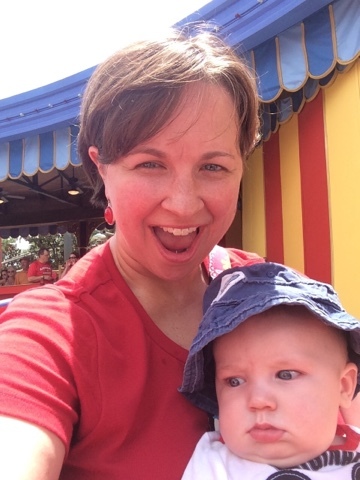 Running on Pixie Dust: FAQ - Is my baby too young to visit Walt Disney World? FAQ - Is my baby too young to visit Walt Disney World? The short answer to this FAQ is - NO! Traveling to Walt Disney World with a baby is not only easy, but there is so much to enjoy as well. Babies make some of the best traveling companions because they are so portable. I made good use of my Boba 4G carrier and walked a large part of each day with our 5 month old son sleeping next to mommy. Caleb didn't miss a beat on the whole vacation - he was a part of all of our meals, parades, fireworks, and rides. Walt Disney World makes it easy to travel with little ones through a lot of little details, such as the Baby Care Centers. Each theme park has a Baby Care Center that is home to a quiet spot for nursing, changing tables, highchairs, a television and playroom, and baby items for sale such as diapers, wipes, food, and medicine. For more details on the Baby Care Centers, read my full review here. Another great aspect of traveling in any Disney Parks location is that most rides are infant friendly. Caleb loved taking in all of the sights and sounds on rides like The Many Adventures of Winnie the Pooh, Under the Sea - Journey of the Little Mermaid, and soared high above the park on Dumbo the Flying Elephant. Characters love interacting with babies and babies are equally in love with some of their favorites. My son was enamored with many of the princesses and loved meeting Mickey Mouse. These were wonderful photo opportunities and great memories for our family. 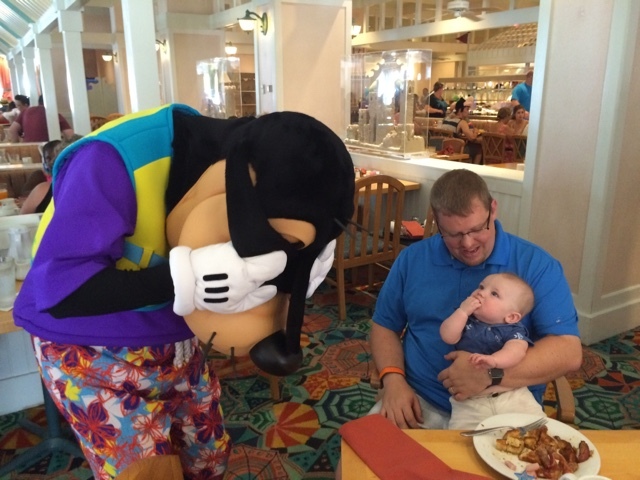 Don't let the fact that you have an infant deter you from planning that Walt Disney World trip! Babies can have just as much fun as the rest of the family ensuring that everyone has a magical trip!